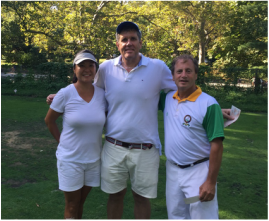 We had a great tournament at the 2016 Hall of Fame Triples at the New York Lawn Bowling Club (NYLBC) in Central Park this weekend. 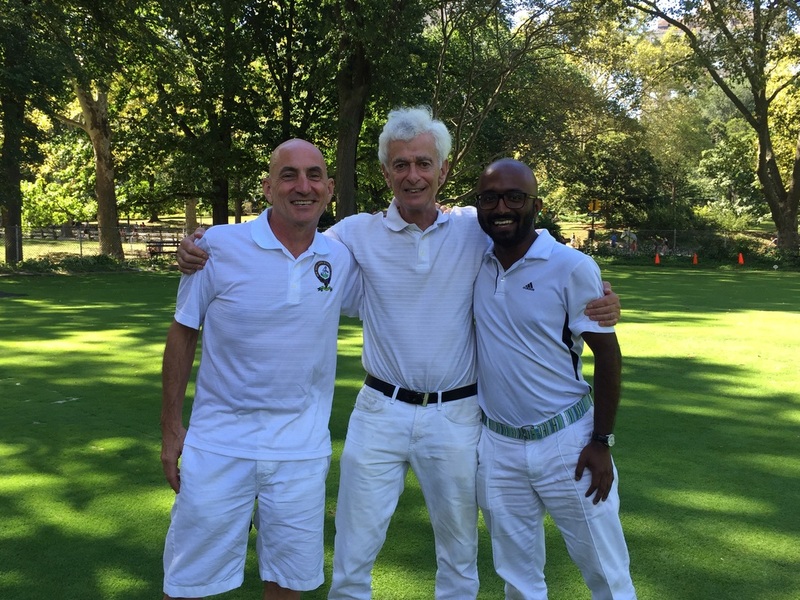 Thank you to all the participants and NYLBC for hosting a fabulous tournament. The greens were running great between 10-11 secs! Congratulations to the winners...1st place: Mike Albanese, Yatish Uchil and Les Winter with a 5-0 record ; 2nd place: Barbara Roberts, Mike Armstrong and Ron Forlenza with a 4-1 record; 3rd place: Veronica Sum, Barry Kessler and Alexander Last, who had playoffs with Annette & Bill Borowitz and Maurice LaFond as they both had a 3-2 record. 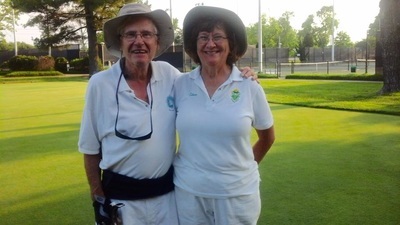 The NED US Singles play-downs was held at Essex on Saturday, August 27, 2016 and Sunday, August 28, 2016. 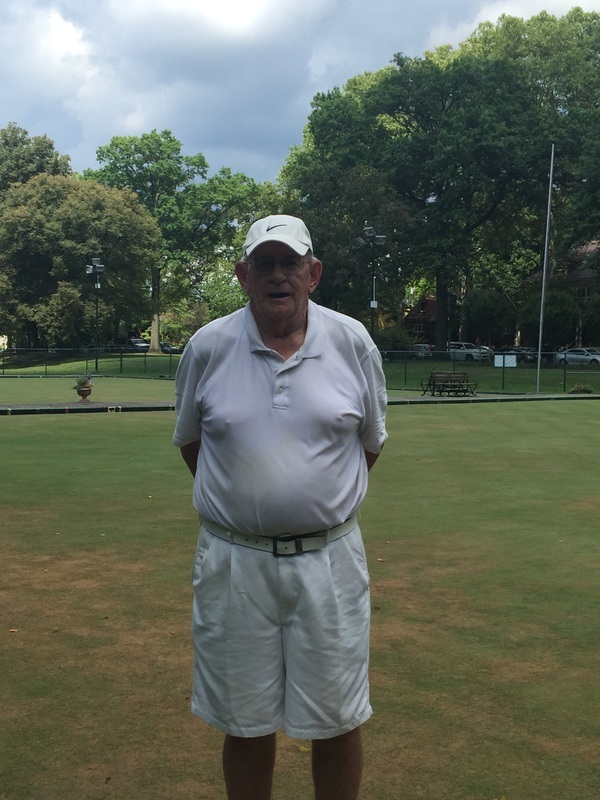 Congratulations to Dan Berg of Williamsburg, who finished undefeated to become the NED representative at the US Championships in October. Michele Arculli of ECLBC will represent the women. We had a great turnout with 13 triples, 15 pairs and 16 singles entries. The weather was very hot and the greens were a lot faster than expected with the exception of the last day due to 1.5 inches of rain late Wednesday afternoon. Thanks to our host club Pittsburgh and all of their workers. We had a great time. 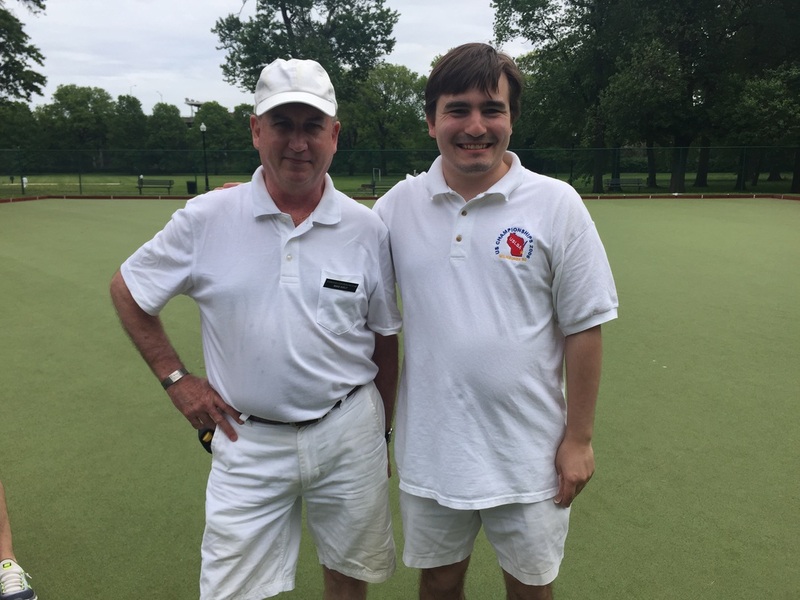 We had 16 teams for the Drevitch pairs at the weekend. 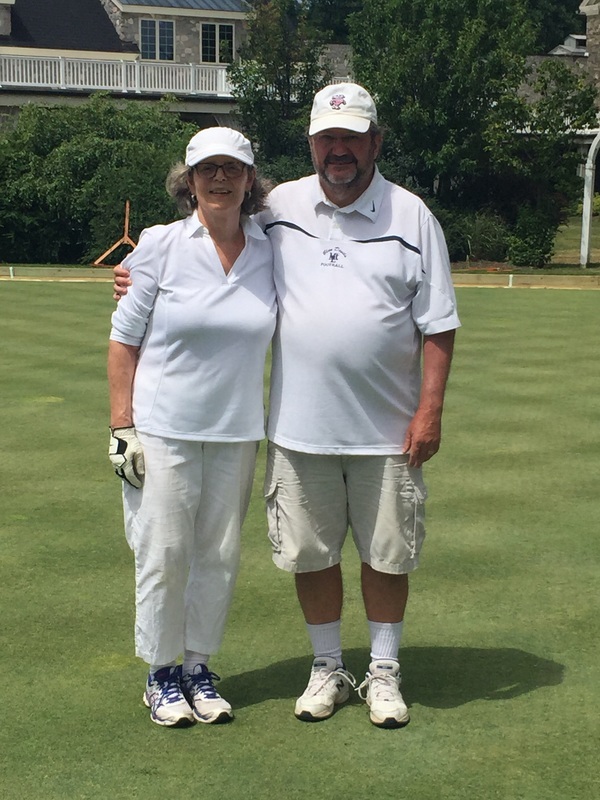 The weather was great ( a little hot ) and the greens bowled very well. After 5 rounds of play we had 3 undefeated teams and one team with a single loss who finished 4th. 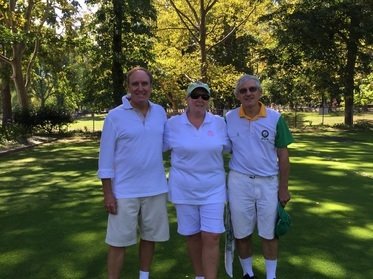 In the playoffs Ryan Hastu & Joe Kelly from New York Club defeated Russ Sheldon & Jeri Spann from Pittsburgh. 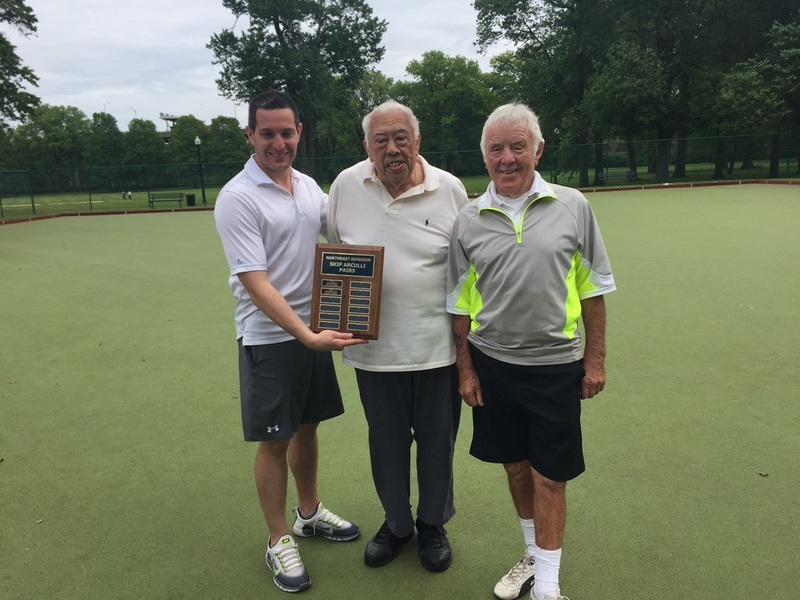 In the final Patrick Duffy & Burl Roller from Essex defeated Joe & Ryan 8-3. Congratulations to everyone and a special thanks to Skytop for their great hospitality. 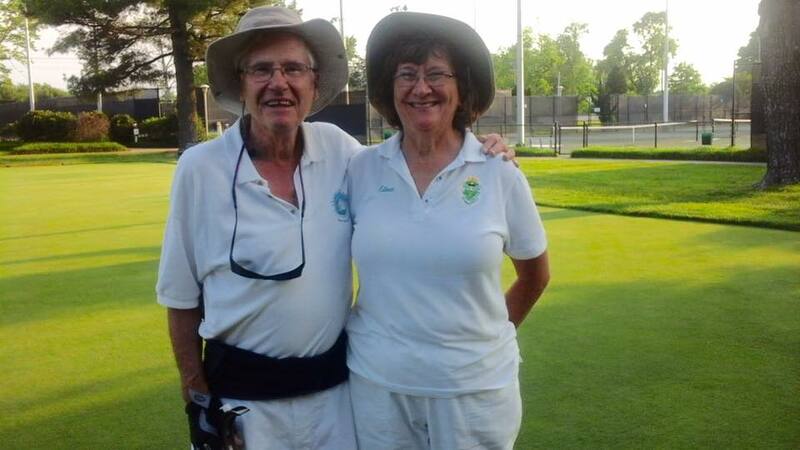 The NED US Pairs play-downs were held at Essex on Saturday, July 9, 2016 and Sunday, July 10, 2016. 5 men and 2 women's teams turned out in NJ for the US Pairs Playdowns. The 90 degree heat wave ended just in time and we had a high temperature of 71 on Saturday, 84 on Sunday. 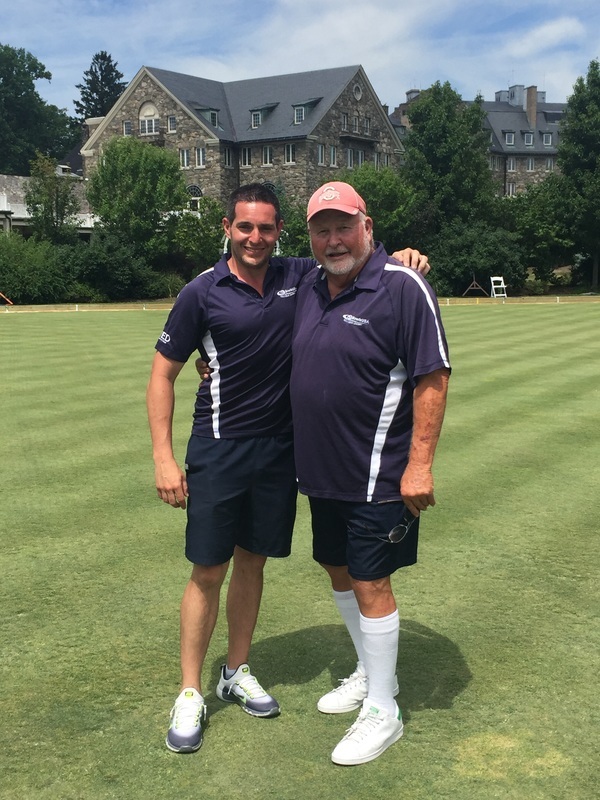 Congratulations to Patrick Duffy & Burl Roller of ECLBC, who went undefeated in a round robin format. In second place was Dan Berg of Williamsburg and Sam Johnson of ECLBC with just 1 loss. 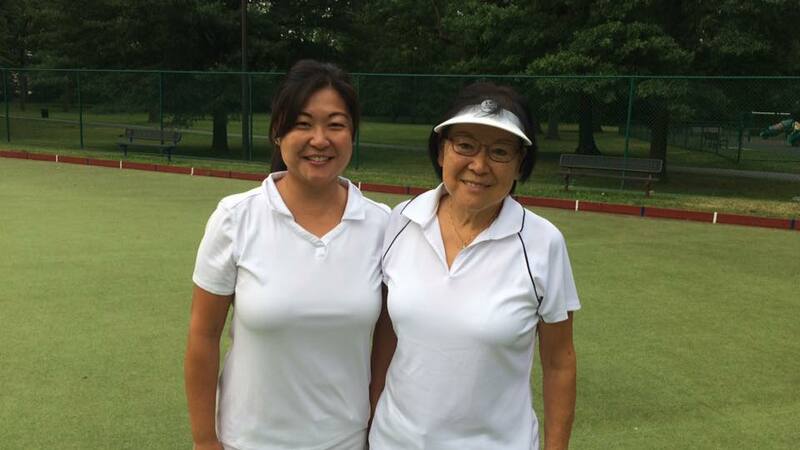 For the ladies, Veronica Sum and Frances Shen of ECLBC defeated Eileen Luba and Rusty Hein in a best of 3 contest. Both winning teams will represent the NED in Arizona this October. 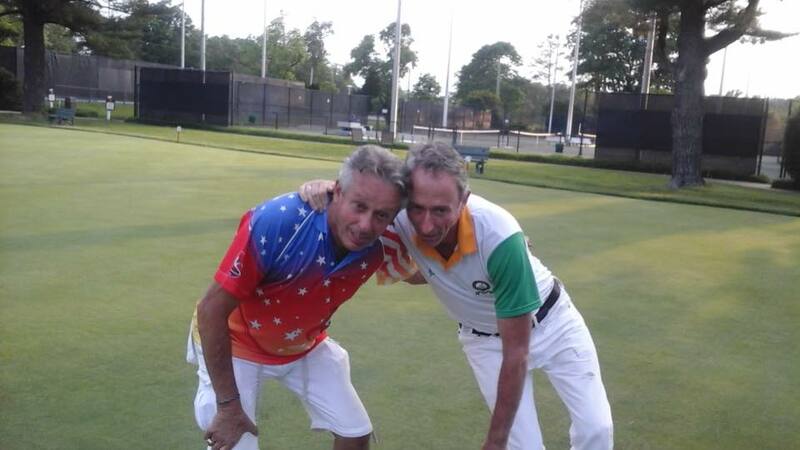 Congratulations to Joe Kelly & Ryan Hastu from New York who were 5-0 in their games. 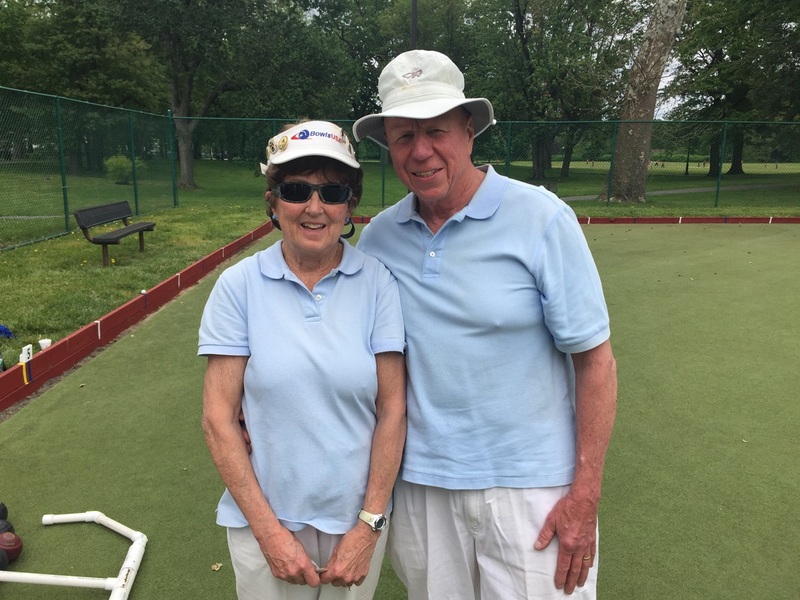 Eileen Luba and Doreen Alexander from Pittsburgh finished second with a 4-1 record. We had 10 teams for the Arculli Pairs this year. A smaller turnout than in previous years, possibly due to the weather forecast. 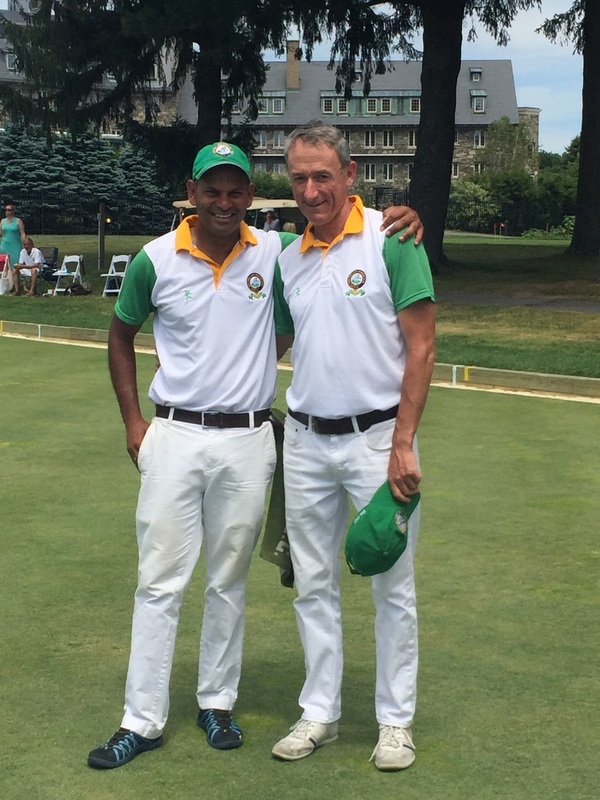 We were able to play a normal format without interruption for rain, although there was some rain on Saturday night. 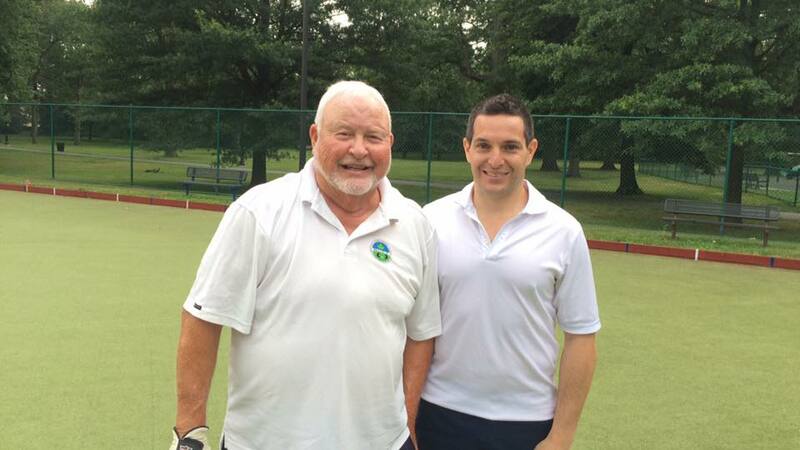 Patrick Duffy & Duncan Farrell won for the second straight year despite a tie in their opening game.